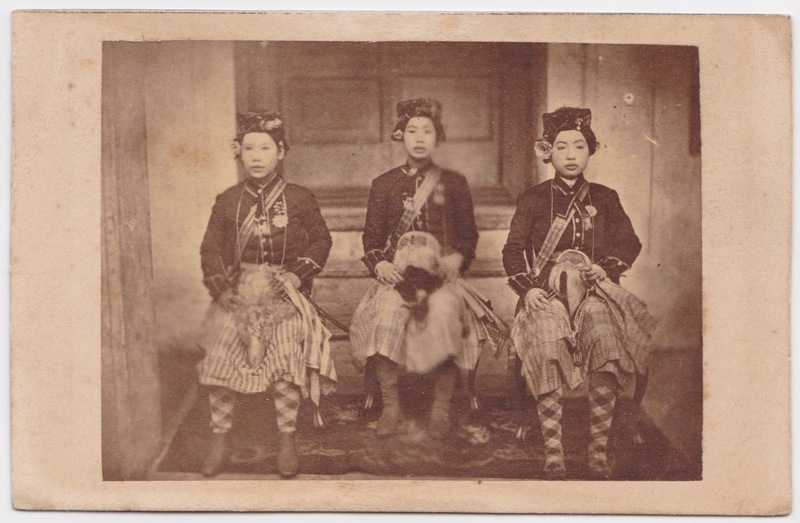 This image is among the very first photographs taken in Siam or of a Siamese subject. 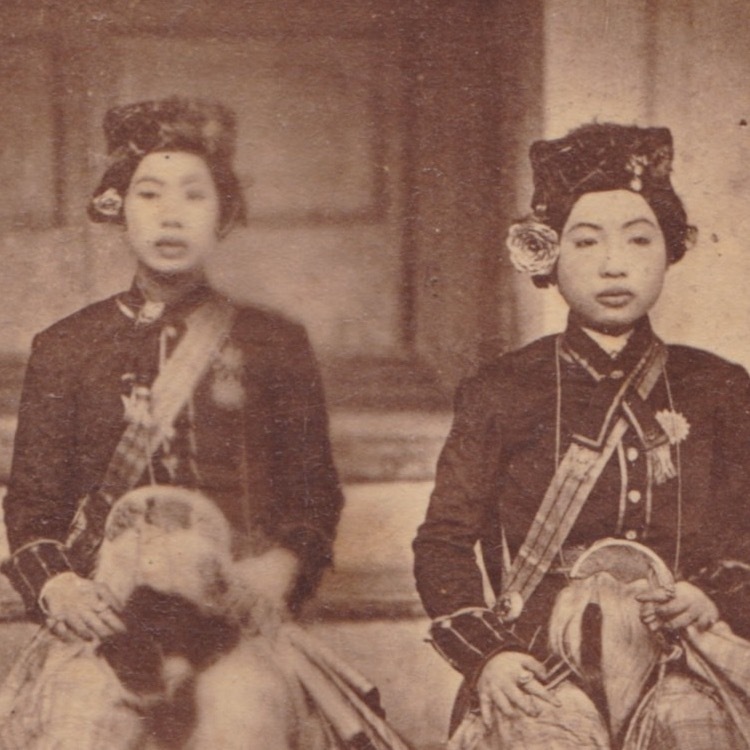 It is titled in pencil on the reverse of the mount “Femmes de Roi de Siam” which could mean “wives” of the King but is more likely to indicate that these ladies are female courtiers or perhaps guards. They are dressed in – what looks to me – some bizarre combination of a uniform jacket, wide skirts and checkered socks. They are photographed sitting on chairs against a low staircase leading to a door. 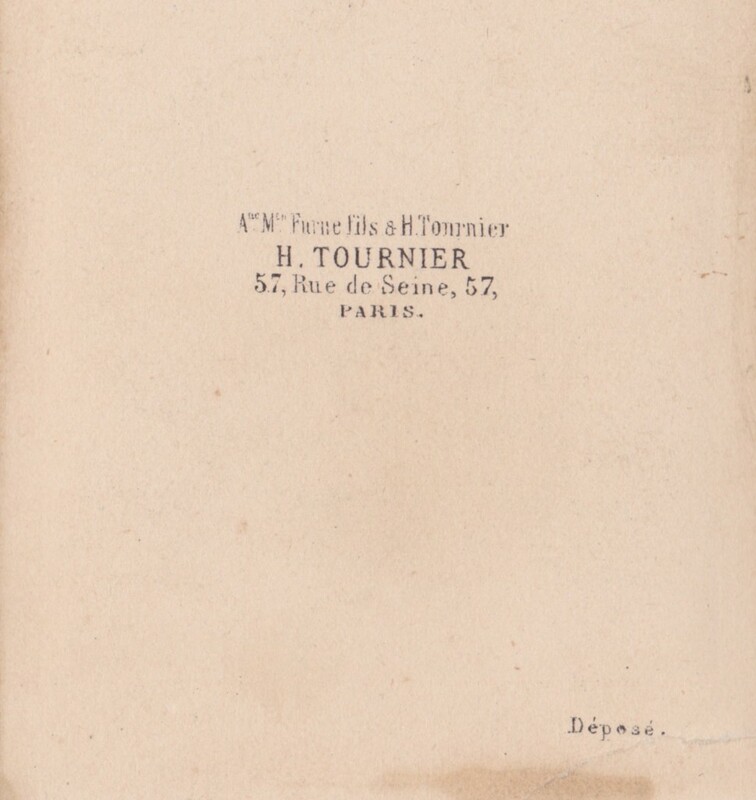 The image was published by H. Tournier at the address 57 Rue de Seine, Paris. Henri Tournier was active on this address around 1864/1865. Condition: good, see light soiling.